Jenna & Craig were married Friday, May 11, 2012, in the South Ballroom at Hamilon’s 110 North East in Jacksonville. 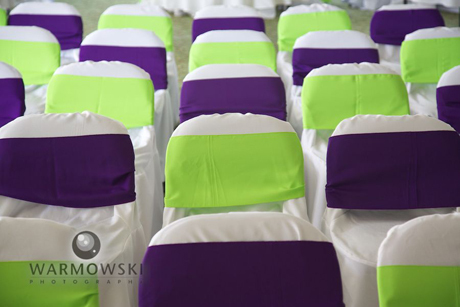 The chair covers and bows transformed the room! The room was first set up for the ceremony. 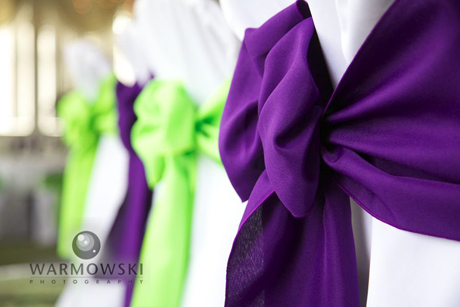 Covered chairs with bows in the wedding colors surrounded the dance floor where the couple exchanged vows & rings. The chairs were in rows for the ceremony. The white table cloths made the napkins and centerpieces really pop. 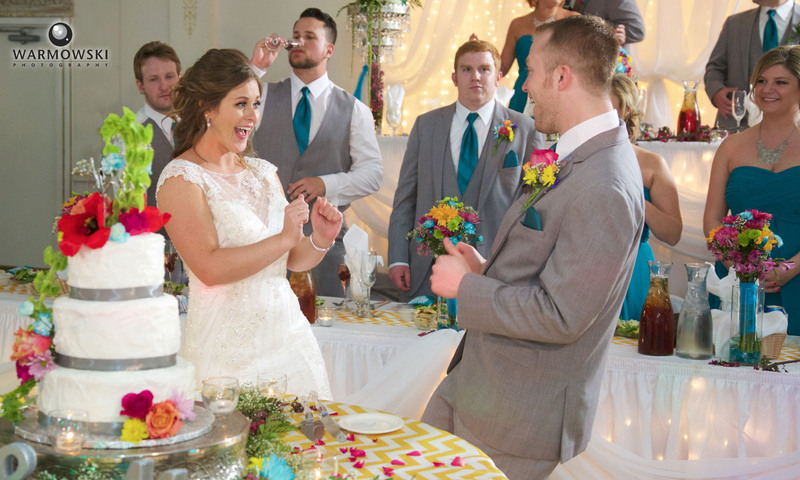 The chairs at the head table alternated in color. The gift table continued the purple & green theme. Posted by Tiffany. 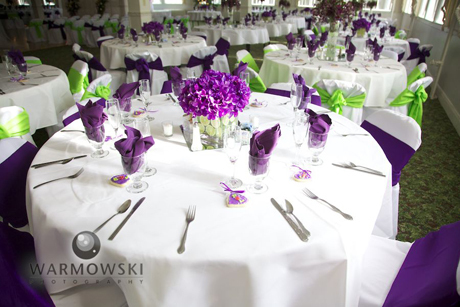 Warmowski Photography is sure to photograph all of the details you’ve worked so hard on! We travel to Chicago, Kansas, England and beyond! Whether your wedding is in your backyard or at a destination, we will photograph every aspect of your day.